In going through boxes to find what I could empty to put away my Kansas Troubles "scraps" I came across a large zip-lock full of scraps from making this and a couple other 30's repros swaps. I think this was the first one and one of the first online swaps I was in. Clear back in 2002. Just one of the many tops that needs to be quilted. This one I would like to hand quilt but-- will I have time? As you can see the border is made of piano keys. There are a lot of scraps in this bag. Now it's yours if your want to leave me a comment and be sure your name is on it if it is anonymous so I know who you are. I will pick a name on Sunday and post the winner and it shall be off to you. Might be some surprises in the bag also. I'm sure there must be some out there that like the 30's fabrics. Hubby is doing pretty good so far. Just hope he continues. Right now we are getting a very much needed rain. Thanks for stopping. Ooo! I love 30s and you have such good taste in fabrics. I have a 30's quilt for K started. At least she understands my quilting (lack of) schedule and doesn't mind the wait. Glad U Geo is doing well at home. OOOOOO Eileen........ how did you know I'm a 30's print addict!!!! Wouldn't it be fun to get these and see if there are enough pieces to get some hexagons out of. Glad to hear hubby is doing well. Talk soon! I love the 30s reproductions. I have some, but please put me in your giveaway! I sure would love to have those 30's scraps. I have never worked with them, but have always admired quilts made with repro fabric. I use 30's fabrics quite a bit. It just seems right somehow.....it's what I remember from my childhood. The top is very pretty! Hello Eileen! I love that 30s quilt and the piano border!! 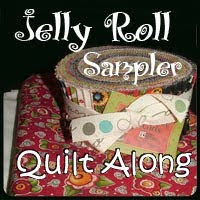 How fun it would be to win a quilt from you so far away in Maryland!!! Well, here's hoping! I am glad to hear the your DH is still doing well. Must be the top notch care you are giving him!!!! Your pay back giveaway sounds really nice. Hope you are having a great day, well it is the middle of the night there now, I hope you are having a peaceful night. oh I love this quilt top, I hope you find time to quilt it. you have seen my 30's baby quilts on my blogs right? ps glad to hear your DH is doing better. My little girl loves 30's fabrics, but sadly most things in my stash are civil war repros. I know she'd love to have me work up a doll size quilt for one of her babies. Slowly, I'm starting to collect 30's fabrics and your stash would be a welcome addition. Lovely quilt and it is always a hard decision when it comes to quilting ... hand or machine .... and hand usually wins with me. I am so pleased that your husband is doing well. I look everyday to see if you have posted anything new about your life. It always makes my day to see a post from you. I also would like to thank you for you generosity in this giveaway. How wonderful to be the giver and receiver!!!! My all time favorite, I just adore 30's fabrics. I am so hoping I might be the lucky one. What a neat top! It's amazing the treasures we can find in our boxes. :-) I would love to be a part of your drawing. I could have fun with those scraps! I'm glad to hear that your DH is coming along ok. That's good news! I am collecting 30's fabrics Eileen- It would be a cool thing to win- you are going to make someone very happy. I hope you do get a chance to quilt your lovely quilt. Hope you are not keeping too busy. I love this quilt, it's awesome. I just love 30's fabrics. The piano key border is a nice touch. I would like to be entered in your drawing. Oh Eileen, that quilt is beautiful. I don't comment much, because I am so busy. But I would love those 30's prints, think they would play nicely with what 30's prints I have. And since I piece everything on a 1920 Treadle Machine, they would fit right into my little cottage here in Nebraska...be sure to check out my blog for pictures of my newest treadle! I would love to win your 30's. I have been collecting for a bit but don't really have enough variety for what I want to do. Great giveaway! My SIL wants a 30s scrap quilt, but I haven't gathered a lot of fabric for it. I just re read my entry, and it may not sound like I would like the scrap 30's bag. I do, I really, really do! I hope you day is going well. You are very kind to do a pay back giveaway. Thinking of you this evening - I hope you are sleeping well and that you that you choices you made brough you joy. I dearly love 30's. I made a baby quilt and it was so adorable I fell inlove with that fabric....please definately put me in for the drawing, thank you. your on my blog list..it takes me time to go thru all the blogs im interested in..
Hope I am not too late for the giveaway! I finally found my computer...love the 30s fabric! 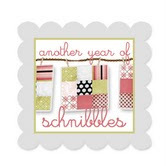 I would love to add them to my scrappy quilt of hexies. Thanks for all that you share! Such a charming quilt done in the 30's fabrics. You're giving it away? I kave a perfect place for a quilt made by quilt sister Eileen. Thank you for generously giving away your scraps. Your quilt top is just lovely. Love your swap top. I'm glad your DH is doing ok, and I hope that he continues to improve. Hope I'm the lucky one! I ran out of 30s fabrics for a spiderweb quilt I was working on, and it'd be great to have yours to finish it off!